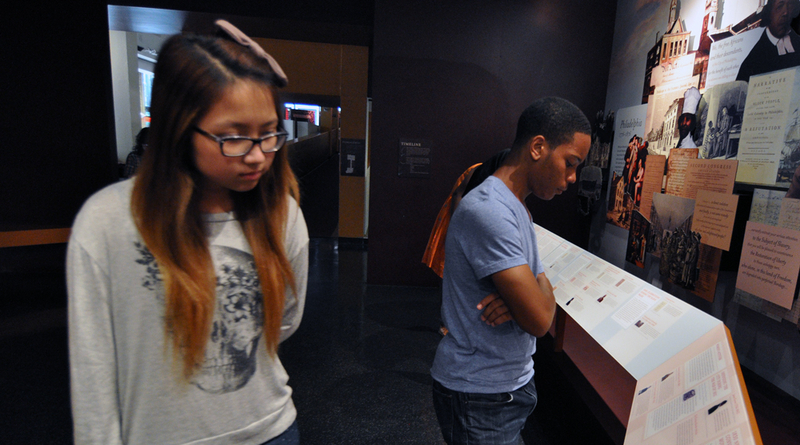 STAMP (Students at Museums in Philly) is a program of the Greater Philadelphia Cultural Alliance, in partnership with 22 museums and attractions and a group of generous sponsors and community organizations. Every step of the way with STAMP, we have our Teen Council to guide us. A group of 8 teens from all over Philadelphia keep up with the latest news at STAMP museums on our website, Twitter and Instagram pages and also regularly give us their input on how to make arts and culture more appealing to teens, spread the word about STAMP, and more. The STAMP website is our one-stop portal for the program, with all the information you need to sign up for the pass and where it’s valid, plus updates on special events, job and internship opportunities for teens in the cultural community, teen classes and programs around the city, information on teen lounges and other safe hang-out spots, blog posts from our Teen Council and more. Is your organization a nonprofit organization interested in providing Philly teens with free tickets for a cultural event or performance? STAMP has recently partnered with the University of the Arts, the Arden Theatre Company, Asian Arts Initiative, The Philadelphia Film Society, the Lantern Theater Company and more, and is actively looking for new collaborations and partners. If you have an idea for partnering with STAMP, contact the STAMP team at STAMP@philaculture.org. STAMP is made possible by a leadership gift from Virginia and Harvey Kimmel. Additional support is provided by the Hess Foundation, Wells Fargo and Wyncote Foundation.